A good portion of the planning that Nevada residents did during their last marriages will more than likely need to be changed should either party remarry. Estate planning is meant to be reviewed periodically in order to assess whether any changes or modifications need to be made. Divorce and remarriage are two life events that should trigger a review. Many Nevada residents want to be sure that their children from a prior relationship receive the inheritance that they are promised. At the same time, benefactors might want to ensure that a new spouse is taken care of after the benefactor’s death. Changes to the will would be in order to reflect a change in spouse and to identify certain assets and how they are to be divided. 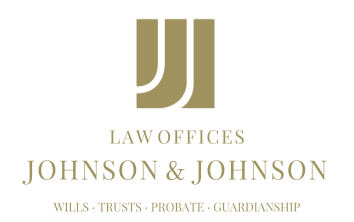 It might be even better to create a trust to hold the property that is intended to be distributed to the children so that they are never considered part of the probate estate at all. Furthermore, a prenuptial agreement can be used as an estate planning tool. This document can be used to limit the rights one spouse has to the property of the other after death. If the parties agree to do so, they could waive their rights to any of each other’s separate property all together. It might not be romantic to discuss financial affairs, but it ought to be done prior to marriage in order to ensure that each party’s separate family members will be provided for as he or she wishes. Fortunately, estate planning provides couples with a variety of options that will work best under their unique circumstances. Documenting any plan decided upon should be done with the assistance and guidance of an attorney. Otherwise, all of the planning done by each of them could fall apart when it is needed.